Easter 2018 is almost upon us! This year, Easter falls on the long weekend of 30 March - 2 April, which marks the start of school holidays in Queensland and Victoria, but falls outside the school autumn break for other states. The Gold Coast is certainly going to be popular for Easter holidays and autumn breaks this year, with the Commonwealth Games launching here on 4 April. And there are plenty of other major events and great places to go over Easter break around Australia too. Accommodation over Easter weekend will be at a premium, so now is the time to book, buy tickets and secure a great deal, with the help of your ATAS travel agent. To help you get started, we have highlighted 4 great options for Easter holiday escapes. Remaining true to its roots as an agricultural show, the Sydney Royal Easter Show has expanded over the decades into a massive celebration of Australian culture, and is now Australia’s largest annual ticketed event. The Easter 2018 show runs from 23 March to 3 April, and is likely to welcome close to 900,000 visitors over the week and a half. This is a fantastic Easter holiday escape for families, who can expect to go home happy and sleepy after days filled with carnival rides, animal experiences, agricultural competitions and live entertainment. If you’re travelling interstate to Sydney for the Easter holidays, consider staying longer to mix it up a bit. Relax on famous Bondi Beach and take the Bondi to Coogee Coastal Walk, a 6km stretch of pretty coastline that takes you past some lovely little beaches, cafes and snorkelling spots. Take the hop-on-hop-off harbour cruise boat and choose from a list of key attractions, including Luna Park, Taronga Zoo, Circular Quay and Manly Beach. Venture out to the beautiful Blue Mountains, where you can experience rides of a different kind at Scenic World. Take the Skyway, Walkway, Cableway or Railway to rise above spectacular views and plunge through ancient rainforest. 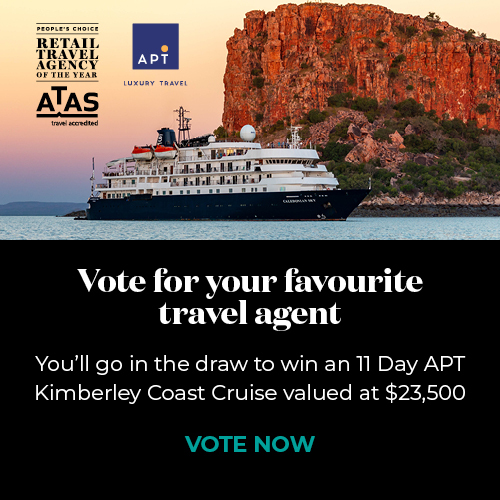 Talk to your ATAS travel advisor about your ideal package of accommodation, tours and attractions. Compared to other popular destinations, Sydney accommodation doesn’t increase in price too much over Easter weekend. Laughter is a fantastic way to truly switch off and recharge with positive energy, so why not make the Melbourne International Comedy Festival the focus of your Easter holiday escape this year? From 28 March to 22 April, Melbourne is a laugh a minute! The Festival is Australia’s largest cultural ticketed event and highly recommended for its affordable tickets (averaging $30) and range of hilarious entertainment for all ages. Melbourne should definitely be on your list of possible places to go over Easter break - ideal for couples and groups who enjoy a world class food, fashion, coffee and culture scene. And, like Sydney, accommodation prices in Melbourne aren’t hiked up a great deal during the Easter holidays. Ask your local ATAS travel agent to find you the best deals. In between stand-up comedy, street performances and cabaret shows, take a stroll through Melbourne’s historic laneways, explore public art spaces and sample the vast range of bars, cafes and food vans. If you get the chance to include a trip to Bendigo during Easter weekend itself, the popular Bendigo Easter Festival is a fantastic family event. Here you can enjoy some traditional cultural festivities, including an Easter egg hunt, Easter parade and Chinese ‘Awakening of the Dragon’. With carnival rides, a torchlight procession, fireworks, an arts and crafts market, live music and food stalls, there’s plenty to keep everyone entertained all weekend. The Gold Coast is one of the best, and most popular, places to go over Easter break as the rainfall and humidity of summer drops away, bringing fresher warm days and cooler nights. Easter 2018 sees the Commonwealth Games arrive on the Gold Coast, no doubt tempting thousands of visitors to stay on after the Easter weekend to attend sporting events. The Games take place from 4 to 15 April, and a full program of music, theatre, art and film will run alongside them with Festival 2018. Of course the Gold Coast is also famous for its thrilling theme parks. The Easter holidays are a busy time, so if you’re planning a trip to Dreamworld or Seaworld, schedule them for a weekday to minimise the time you spend queuing for rides and attractions. Accommodation over Easter weekend tends to carry a premium here, especially in Surfers Paradise. Your ATAS travel planner will be able to help you find the best deals on accommodation and multiple park entry discounts. As well as visiting Australia’s largest water theme park, Wet ’n’ Wild Water World, make time for some kayaking, jet skiing, snorkelling, diving or sailing. April is the perfect time to enjoy getting in the water along the Gold Coast. And if you need a quiet break in the midst of all this activity, head inland to explore the lovely mix of rainforest and wineries. The Easter holidays are also the time to potter down the coast to Byron Bay for one of Australia’s most well known blues and roots music festivals, Bluesfest, running over Easter weekend from 29 March to 2 April. The event incorporates over 200 performances by highly respected musicians, as well as a kids program and the Boomerang Festival of first nations music and arts. While many visitors choose to camp or glamp, there are also plenty of hotel, beach resort and holiday apartment options in Byron Bay. Your ATAS travel agent can help with Bluesfest holiday packages that include flights, accommodation and tickets. Across the Top End of Australia there are two seasons, and Easter marks the changeover from what’s known locally as The Wet to The Dry, which officially runs from April to October. The Easter holidays are often regarded as the ideal time to visit waterfall country, especially the Kimberley and Kakadu. As the wet season rains ease, these stunning regions become easier to access, and lower humidity means the days are far more comfortable. At the same time, the waterfalls are still flowing majestically, providing a window of opportunity to see them at their best without the humid heat of the wet season. Ask your travel advisor to help you plan your ideal Top End adventure. In Broome, the gateway to the Kimberley region, a natural phenomenon known as the Staircase to the Moon begins to occur around Easter time, drawing visitors to the historic pearling town for Easter holiday escapes. This is a perfect time to enjoy the warm days, balmy evenings and rare rainfall of April while ticking the Staircase to the Moon off your bucket list. The first Staircase is expected on Easter Sunday, with sightings also expected on Easter Monday and Tuesday, and continuing to appear 2-3 days a month right through the dry season. It occurs when the full moon rises across the tidal flats of Roebuck Bay, creating what looks like a staircase leading up to the moon. Night markets are held at Broome’s Town Beach on each evening the Staircase appears, with live music, local produce and crafts, and a range of international food stalls. And finally, another of Australia’s iconic places to go over Easter break - Uluru is worth seeing at this time of year when the heat turns down. There is very little rainfall here at any time of year, so the skies are often beautifully clear and the nights fresh. In winter it can get quite cold at night, but April is still pleasant, rarely dropping below 12C with maximum temperatures usually below 28C. Ask your ATAS travel advisor about sunrise / sunset tours and dining out under the stars while you listen to story-tellers or live music. Easter is a fantastic time of year to let your hair down in Australia and enjoy being a kid again! The whole family will love any one of these holidays and you’ll return home with lasting memories. Too busy to organise it? Your local ATAS travel agent can put together a fabulous Easter holiday package within your budget. Now is the time to lock in your Easter holiday flights and accommodation. Let your local ATAS travel agent help you find the best deals at this busy time of year. Here are some excellent reasons to choose an ATAS accredited travel agent every time.